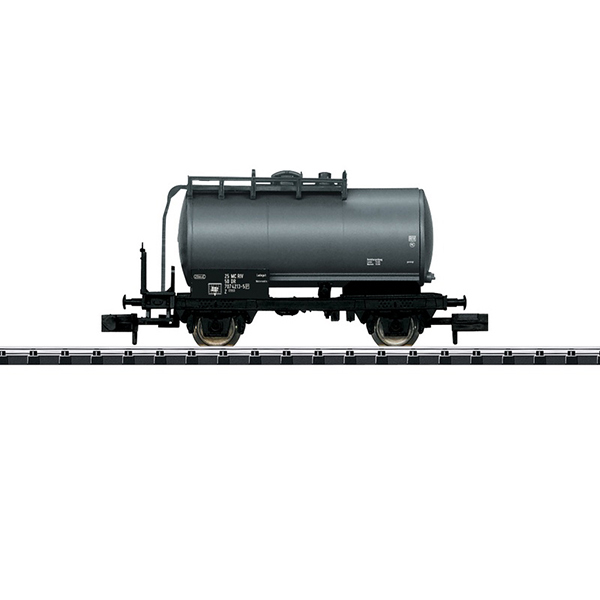 Prototype: Two-axle tank car painted and lettered for German State Railroad (DR). Model: The car has a separately applied platform, catwalk, and ladder. It also has a detailed, partially open frame. The car's construction is simplified. Length over the buffers 55 mm / 2-1/8".